Are you living with back pain, neck pain, or any other symptom of a chiropractic condition? At Complete Care Chiropractic, we use holistic, customized techniques to diagnose and treat a wide variety of conditions and injuries. From chiropractic adjustments and massage therapy to lifestyle and dietary changes, all of our chiropractic treatments are designed to target the original source of your symptoms and prevent further damage. Also known as slipped discs, herniated discs are common but painful spinal injuries. Discs may slip out of place due to misalignment, degeneration, or repetitive wear and tear, but if they put pressure on the surrounding nerves and tissue, it may result in debilitating pain and mobility loss. Our chiropractor may use massage therapy to alleviate inflammation, chiropractic adjustments to realign the spine, or spinal decompression therapy to relieve pressure. The sciatic nerve is a large and important nerve that stretches from your lower back all the way down both legs. If you have any spinal misalignment or inflammation that puts pressure on the sciatic nerve, your symptoms may range from lower back pain to weakness, numbness, and tingling down one leg. Our chiropractor will help identify and correct the source of your sciatica, based on the location and severity of your symptoms. Arthritis, degenerative disc disease, and other progressive conditions may gradually cause the discs in your spine to deteriorate. You need these discs to cushion your spinal joints and absorb the force of everyday movement, so it’s important to address the damage and stimulate regrowth. 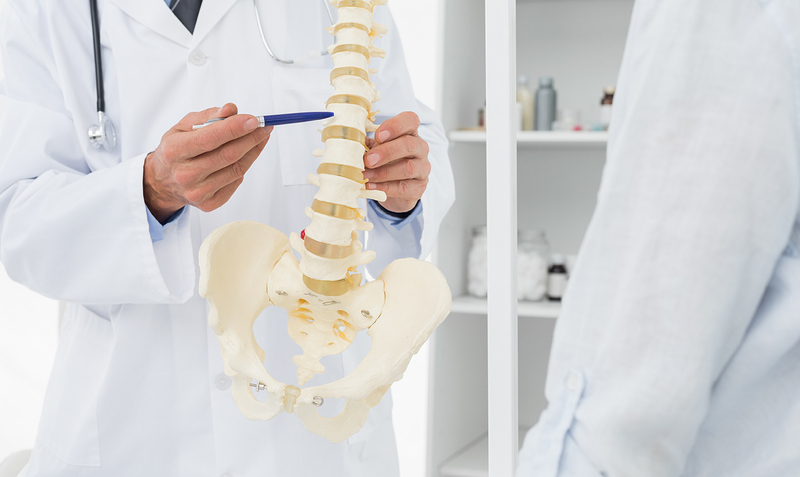 Everyday injuries and accidents can do serious damage to your spine and the rest of your body, especially if you don’t get prompt and proper treatment. Our chiropractor has experience treating a variety of personal and auto accident injuries, from whiplash and other soft tissue trauma to repetitive injuries from lifting, typing, and poor workplace ergonomics. Are you living with an untreated condition or injury? Whether you have recurring, mysterious back pain or sudden trauma that needs help to heal, our chiropractic team at Complete Care Chiropractic is here to help. Call 913-815-8076 today to schedule an appointment with our Olathe chiropractor, Dr. Devin Morton. We’ll get started with a comprehensive evaluation to figure out your unique treatment needs.